The civil war in El Salvador lasted from 1979-1992 and was fought between the government and the Farabundo Martí National Liberation Front (FMLN), a coalition of five leftist guerrilla groups that attempted a military coup in 1979, which was followed by many violent attacks on the government and civilians. 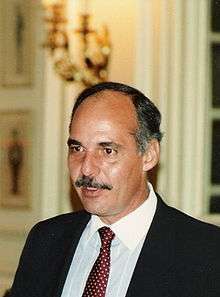 On November 11, 1989, twenty armed guerrillas stormed the Sheraton Hotel in downtown San Salvador and held more than 100 people hostage, including several U.S. Green Berets in the city to do a training mission and Secretary General of the Organization of American States, Joao Baena Soares. Release of the hostages was negotiated by the government, the Roman Catholic Church, the Salvadoran Red Cross and the FMLN. Several days later the violence continued with the killing of Padre Ellacuria and several other Jesuits at the Central American University. Ellacuria was a strong proponent of liberation theology, a movement in the Catholic Church that calls for the liberation of the poor from unjust soci0-economic conditions, which was widely opposed by many conservatives in the Church and the government. Overall, the civil war resulted in the massive human rights abuses, including the use of child soldiers, and led to the death of over 75,000 people. More than a quarter century later, in February 2016, Salvadoran police arrested four former soldiers wanted in Spain for the 1989 murder of six Jesuit priests. 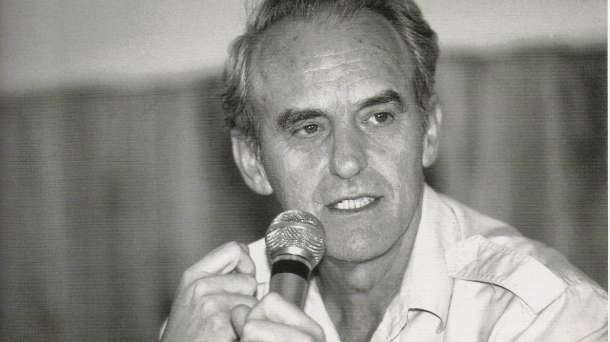 William Jeffras Dieterich was the Deputy Chief of Mission in San Salvador from 1989-1992. In the following excerpt from his interview he recalls his personal experiences revolving around this violent time in El Salvador, his recollection of the siege and the murders and the peace negotiations that followed. Read other Moments on Latin America. DIETERICH: When [the November attack] all started, I was at home. We did not have real hard intelligence that anything was coming. It started on November 11th, as bad as I am on dates I can remember what we used to call Armistice Day. The night before that, we had the Marine Ball and much of the embassy leadership was at a hotel ballroom have a pretty good time. There were lots of Salvadoran guests also. Of course as usually happens we read reports after the fact and thought that maybe if we evaluated them the right way, maybe we would have guessed something was coming. But the fact is we didn’t. I don’t think the Salvadorans did either. The next day, the 11th, nothing in particular had us worried and we had gone home at supper time, as we usually did. I was in my residence and the Ambassador was in his, and around 8:30 or 9:00 one hell of a fire fight broke out close my house. We were used to hearing gunfire every now and then during the night, or hearing a telephone pole get blown up, so when it first started I thought that it was closer than usual but was not very worried. But it just kept going on and on. They had attacked all through the city and the guerrillas around my house were trying to get at President Cristiani’s house. He didn’t happen to be there at the time, fortunately. They really came close to getting into his house, but were finally driven off by a patrol of the Salvadoran army. It was pretty tough. We had one wounded government soldier take refuge in the kitchen of our house. I went down to the kitchen and found our cook bandaging this guy, who had been shot through the hand. We had fighting during most of the night. We weren’t sure of the extent of it until we all got to work the next morning. We all did get in to the embassy the next morning and began to gather intelligence and get the reports. Then we realized that something major had happened. We didn’t know how long it would last nor how serious it was going to be. As you know, it didn’t go away very quickly. It got a little bit worse every night. It then became evident to us that this was a major push. It is hard for me to sort out particular events but we sort of settled into a routine which meant that we would all consult each morning with our own security people to figure out when it was safe to go to the embassy. Often we would be late getting there because we would have our own security patrols out and through liaison with the army and everybody else, figuring out whether the routes we would have to take to work would be reasonably safe. So we would all wait for a call and then usually get into the office around 9:00 or 9:30. Then we would get everybody together and try to assess the night before and try to figure out what the military situation was. We found that much of the eastern suburbs of San Salvador were in guerrilla hands. Just about the time we had settled into that routine, the guerrillas attacked the Sheraton Hotel which created a very difficult situation for us. We had a group of U.S. Army Special Forces trainers who had been going through some routine, previously scheduled training exercises with the Salvadoran army and were staying in the Sheraton Hotel. They had all their weapons with them. The guerrillas occupied the hotel. We were told they looking for a special Organization of American States negotiator who had come to town. 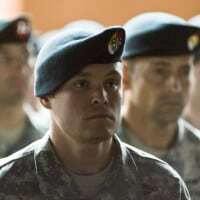 He was the target, but they went into the wrong tower of the hotel and ended up occupying the side with this group of American green berets barricaded into one end of a corridor, heavily armed and not about to give up. There were also some American civilians — some AID [U.S. Agency for International Development] people and some commercial people — who were in the same tower. So we were faced with a situation of the guerrillas occupying the building, a group of armed Americans who were certainly not going to be captured without a fight, and various civilians scattered around in other rooms around the hotel. He said, “BUT I CAN GET THEM OUT. LET ME DO IT.” I had to tell him, “No, you can’t do it. As an embassy official, you CANNOT negotiate with these guys. Now let it go.” And he did. So the Sheraton occupation created some exciting moments. We ended up with Delta Force in the country that night. 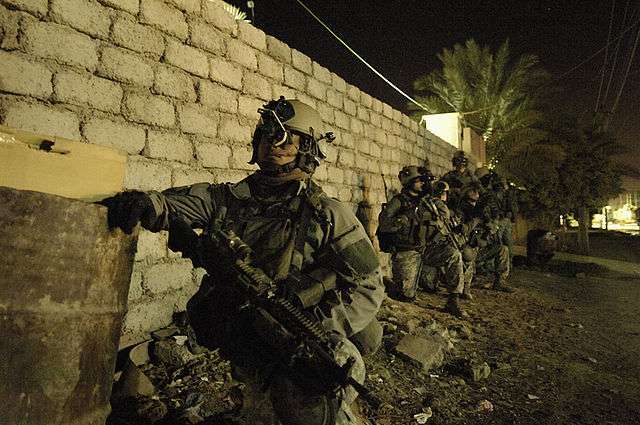 Delta Force is an elite group of the U.S. army which is trained in hostage rescue. It was all very hush, hush, and secret except President Bush mentioned it the morning after they had left the country. We were never, ever to tell anybody that they were there or had been there, but the President did mention it on radio and television. They flew into the country, I don’t remember the size of the force but it was a lot of people, and they had been positioned around the hotel. The commander had been to the embassy and we had a meeting late into the night the night before. Eventually, we got the people out. The guerrillas sort of disappeared after they decided they had gotten into the wrong place and didn’t need this fight. They escaped through the back doors and down through a ravine. San Salvador is cut through by a lot of ravines and they make good guerrilla routes since they have a lot of vegetation at the bottom and people don’t live down there. They quietly slipped away from the hotel, and then it became a matter of getting those people out of there and getting our own military people out of there without them shooting anybody on the way out. There had been a big fire fight at the beginning of this thing. It was not a peaceful occupation but a contested occupation. I had awakened the morning of that occupation to the sound of a terrific fire fight. Q: Did it come as a surprise that they were able to mount such a thing? A: Yes. Not only that they were able, but that they did it. The offensive was their last hurrah. We were afraid for awhile that it might be only their first final offensive, but it proved to be their final. A couple of years later we had a peace agreement. At some point I have to deal with the evacuation of our own dependents. Also the Jesuit murders, I have to deal with that too. The offensive started on November 11, 1989. A few days later we awake to the hideous news that there had been a group of people murdered at the Central American University, including Padre Ellacuria and some other priests, their housekeeper, and one child. We didn’t know who did it. Although much of the world was willing to jump to the conclusion that the army had done it, the fact was, nobody really knew. Some of us, including me, entertained the idea that it also could have been the guerrillas. Eyewitness accounts identified men in army uniforms, but that on its face did not exclude the guerrillas. Remember, we had had conversations with people at the university who indicated they favored the peace alternative. It wasn’t entirely beyond my imagination that someone on the left had decided to get rid of these people. As it turned out, it was the army that did it. However, the army has never accepted the notion that it ordered the murders and that has never been proven. It may or may not have been — I don’t know the answer. I’m inclined to think that it was not ordered by the high command of the army but was the act of a particular colonel named Benavides, who thought he had authorization from a more senior level of the army but may not have actually had it. It was a stupid, murderous act that complicated everything and made it more difficult to bring the war to an end. It cost a lot of support in the United States for a negotiated settlement. Remember, our job was to convince people that a negotiated settlement was better than the bloodshed it would take for either side to win. Negotiations mean that some people aren’t going to get punished. That’s what peace negotiations are about – people on both sides were going to escape punishment. A lot of people understandably hate that and think that crime ought to be punished, that there should be retribution for atrocities. People who like vengeance as a political principle hate the idea of negotiated settlement. Well, the murder of the Jesuits made negotiations all that much harder. Q: Were we all over the Salvadoran government on this by now? A: Sure, we were. 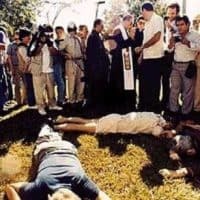 I headed an embassy task force on the Jesuit case which met daily trying to figure out what we knew and trying to use all our resources to get at what the evidence was going to be. We were under increasing pressure from the local Jesuits, who were convinced we knew things that we didn’t know. They were convinced we knew who did it, but wouldn’t tell them. The fact was, we didn’t know. The Salvadoran government knew things that it wasn’t telling us. They began to suspect right away their people were involved in it. It took them sometime to sort it out, and it took more time before we got enough wind of it to go to them and say, “All right, come clean, let us know.” When it all came out, it was a very complicated story and I would just as soon not deal with the individuals involved. Eventually, it came out; I think we found out within a few days what the real story was. A lot of our problem in the Jesuit case was dealing with people who had an institutional stake in not trusting us, or saying they didn’t trust us. The whole Jesuit case was a classic example of the moving shoreline that we could never reach. The first things we heard was, “Well, we will never find out. We’ll never really see the evidence of who did it. We know who did it, but we’ll never find out, we’ll never see it.” Well, we did, so then it was, “Well, there will never be an indictment.” Well, there was. So then it was, “Well, there will never be a trial.” Well, there finally was and it took a huge amount of pressure and intervention on our part to make sure there was a trial. After the November ‘89 offensive the peace negotiations became much more inevitable. At that point the guerrillas were convinced they could not win at any cost they were willing to pay. The military were convinced they could not wipe out the guerrillas at a cost they were willing to pay. Some of the senior people were getting pretty sick of going to funerals and the commitment of the Salvadoran government, led by President Cristiani, became even stronger after the offensive finally ended. This had to stop — El Salvador had to find a new way to do things.